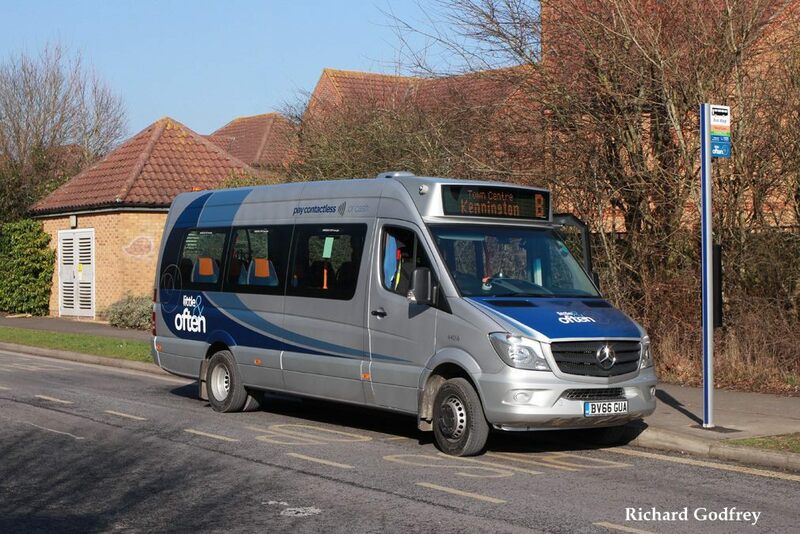 Larger buses offering more leg room are to be introduced to Ashford’s Little & Often service later this year. The Stagecoach-run fleet, which was introduced last February, currently uses compact Mercedes Sprinter minibuses. But the bus operator says 45% of customers are not satisfied with the space and comfort of the seats - and is going to introduce new buses with almost 60% more seating capacity in June. Stagecoach commercial director Matthew Arnold said: "We have seen a fantastic 35% increase in passenger numbers since we introduced Little & Often, but we have now reached a point where we can’t support further growth with the existing vehicles. "We are pleased to be bringing in vehicles with additional capacity, providing more seats with extra space and legroom for customers. "It is now time for Little & Often to evolve to the next stage.”Under the revised scheme, route B will see a 32% increase in seating capacity per hour, with route C benefiting from a 59% increase in seating capacity. Stagecoach says the frequency of buses on both routes will remain high, with route C unchanged and route B changing from every 10 minutes to every 12 minutes. Routes B and C will continue to operate on the existing routes. In January, councillors called on Stagecoach to extend Little & Often to the rural areas, where it was felt the minibuses will be needed when more homes are built on the outskirts of the town over the coming years.